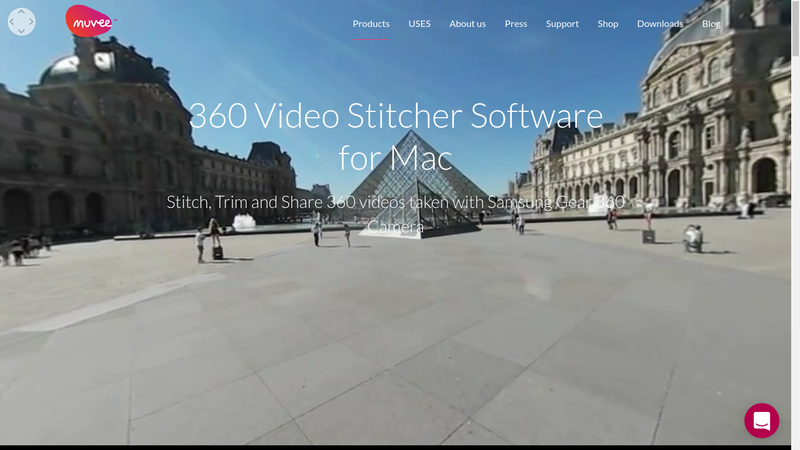 Muvee just launched a 360 video stitcher for the Mac, which can stitch Samsung Gear 360 videos and trim videos losslessly, and will add video editing features in the future. The Samsung Gear 360 is currently the most affordable 4k 360 camera (until the TwoEyes VR camera is released). However, its photos and videos must be stitched on a compatible phone (Samsung S6 series, S7 series, or Note 5) or on a PC with the included software. Now, Muvee has made a stitching software for Mac users. The software is available for a free 15-day demo (with watermark). If you like it, you can buy the software for $49.95. I don’t know yet the software can stitch Gear 360 photos and whether it will be able to put multiple 360 videos together. The software is available here. Thank you very much to Richard Wildman for bringing this to my attention! I tested it on some clips. I really miss adjustments options. Results are not as good as the S7 stitches. There's obvious parallax/ghosting in the seam and no vignetting correction resulting in dark bands in the seam. As a Mac users I applaud any effort though, this one just not being up to par for me. Thank you very much for letting me know! I don't have a Mac to test, so I appreciate your letting me and other readers know how it performs. Thanks again! And here's a link to an early stitch of the same 360 video, made with Autopano Video 2.3: https://youtu.be/RadE–sVKCc At first glance, I can't see obvious faults, although the content may not be good for critiquing quality. I'll have to stitch some other videos and see. Thank you very much Tanuki! I really appreciate it! I will check them out! Hi Martin! You're right the muvee stitch looks pretty smooth for a complicated scene. I noticed that it's at 2k rather than 4k. Is that a limitation imposed by muvee?